Discos en vinilo y CD de Accidental. 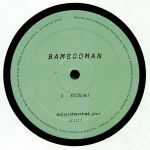 Review: Bambooman (real name Kirk Barley) is a London based producer who presents his fourth release on Matthew Herbert's Accidental imprint - which follows up last year's terrific long player, Whispers. His new offering is the trippy minimal techno kicker "Ricochet", with its sparse arrangement revolving around a stuttering bassline and nasty chord stabs awash in plate reverb. On the flip, the man himself Herbert steps up to deliver a wacky and glitched out remix in his own truly idiosyncratic style once again. Review: For the fourth and final edition of Matthew Herbert's Parts series, we have four further reductions from the UK producer's back catalogue - all in his idiosyncratic style. 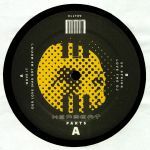 Timeless minimal house that has truly stood the test of time and sounds as captivating as it did over 20 years ago. 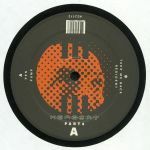 Part Four came out on Phono back in 1996 and is reissued here on Herbert's Accidental imprint. 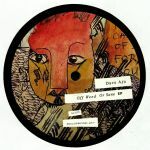 From the dubbed-out heroin house of "Pen", the crunchy robo-jack of "Pump", more blip, blurp and bleep on "Take Me Back" or his knack for simply straight-up and emotive deep house as heard on the utterly sublime "Resident". The tracks on here are still relevant in today's musical landscape and completely essential, in our humble opinion. Review: The ACJ94 EP comes courtesy of Accidental Jnr, a new sub-label of Matthew Herbert's Accidental. Here he presents a remix of Jamie Lidell's "When I Come Back Round" from 2005's Multiply. Entitled "Live version - Matthew Herbert long Night dub" it's a much more raw and funky take on the track with tough drums and emotive elements where the source material is, like its name suggests, from an appearance on an L.A. radio station from some years ago. On the B side, we have the man himself Herbert with a new track entitled "Megaphone" a classic and proper deep house jam for the late night that's expertly crafted by the artist who has brought us such timeless classics like "See You On Monday" amongst many others.